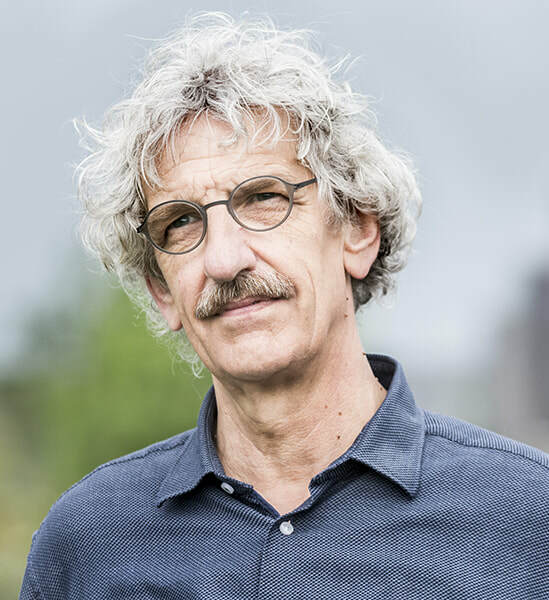 Geert Bettinger (1952) has a Bachelor and Masters Degree in Social Work, and is a trainer and team coach within care and welfare. He teaches employees how to look at ‘problem behavior’ in new ways. By translating 'problem behavior' into Signal Behavior, employees are challenged in a positive way to deal creatively with their own ideas and possibilities. Geert encourages employees to reflect on their share of care-working situations. He previously worked as a Care Coordinator and teacher at a school for health and welfare, and has also been self-employed as a worker for victims of sexual abuse, a social worker for the elderly, and a nurse for families with mentally disabled children. Geert is happily married and has three sons, three daughters in law, and is a proud grandfather of four grandchildren. I have written this book for anyone who has to deal with care-dependent clients. These might be care-workers, nurses, care-givers and students training for care and welfare. In this book, I call them care-workers. my vision for the treatment of and assistance to these clients. We should firstly stand still and pay attention when they convey messages with their behavior. This book is suitable for use in peer review meetings, both in practice and in education. I highlight recognizable situations and how to change and improve them if necessary. I do this on the basis of real-life cases in which the names have been changed. There are questions in most chapters that help you reflect on daily practice and thus think about yourself. Certain subjects are repeated to reinforce my vision. The motivation for writing this book has to do with my past. The first chapter is about that. As a child, I was sexually abused. Partly because of the pain and confusion, I demanded largely ‘negative’ attention. At that time, I could not speak to anyone about it. Thus, I showed a lot of ‘problem behavior’. I regularly gave signals to the outside world that something was wrong, but these were misunderstood. Many care-dependent clients also ‘negatively’ request attention to their personal situation. This is an area of special concern for me. I do not offer ready-made solutions, there are none. I want to provide guidance to deal better with the difficult situations in which these clients may find themselves. In this book I try to be their 'voice'. Therefore, all chapters have a title, which you can read as if a client has spoken it aloud. where it is a Bestseller. Is it true that people with developmental disabilities cannot communicate effectively? How can I understand the mindset of a person with dementia? Why is it good that children from difficult backgrounds sometimes hit out? Care-dependent clients often have no words or dare not speak out if they have problems. Therefore, they regularly ‘have to’ ask for attention to things that are wrong, in their own specific manner. In this book, I describe my vision for the treatment of and assistance to these clients. This book is suitable for use in peer review meetings, both in practice and in education. If we do not make a real effort to understand some of the behaviors of care-dependent clients, we not only miss out on the opportunity to meet the underlying need and truly resolve the issue, but we also might actually cause much greater harm to those for whom we are caring; the hurt of not truly being heard and seen, which leads to deep-seated loneliness. In this book, Geert takes you by the hand and gently walks you toward a whole new level of thinking and approaching situations, and at the end you will find yourself armed with a wealth of possibilities (as long as you allow your mind to shift and remain receptive). This book gives a voice to all those who are dependent on others and, in a way, also to ourselves, as one day it might be we who need compassionate care. 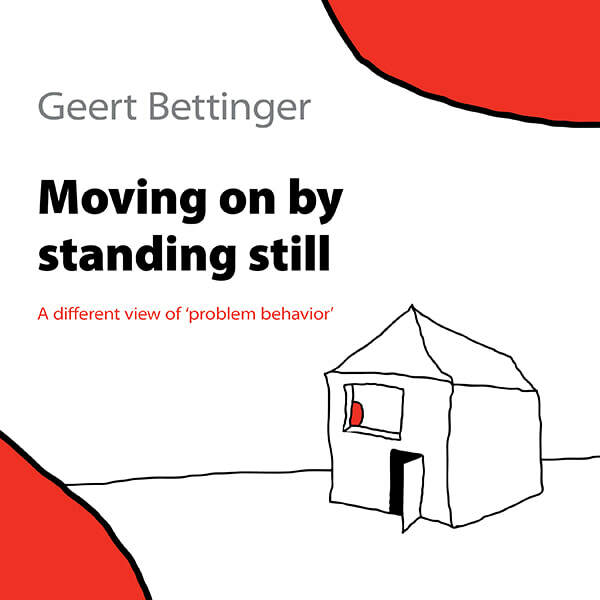 "Moving On by Standing Still offers an open-minded and refreshing approach to understanding and dealing with the "problem" behaviors of care-dependent people." For full review click here. "Geert Bettinger speaks to the heart of professional care in nursing homes and elsewhere today. His innovative insight will challenge the reader to a much needed next level of soul filled care." "Do you know those clients who scream, kick, rock, or run away? Behaviour referred to as challenging or undesirable behaviour. Not by Geert Bettinger. His book discusses the reasons underlying behaviour of care-dependent people. Rather than using a term that solely puts the blame on the client, he prefers the term signal behaviour. Geert Bettinger argues that we, as caregivers should ask what causes this ‘challenging’ behaviour. Let’s make a serious attempt to ‘listen’ to their behaviour. Care-dependent people are usually incapable of telling you in words what makes them suffer. They therefore use body language to convey that message. But it is not always simple to read that language. Hank, whose social-emotional development does not exceed that of a one-year old, often wobbles on his chair while in the community room. He then walks to the window, puts his face against the glass for a while and returns to his seat. After a while the routine starts all over again. What was Hank trying to tell us? One of the caregivers mimicked Hank’s behaviour and felt the nice cool feeling of the glass against her face. Perhaps Hank was always hot when he spent time in that room. Indeed, after they decided to give him less clothes to wear, the behaviour stopped. By listening to Hanks body language, we heard what he was telling us."